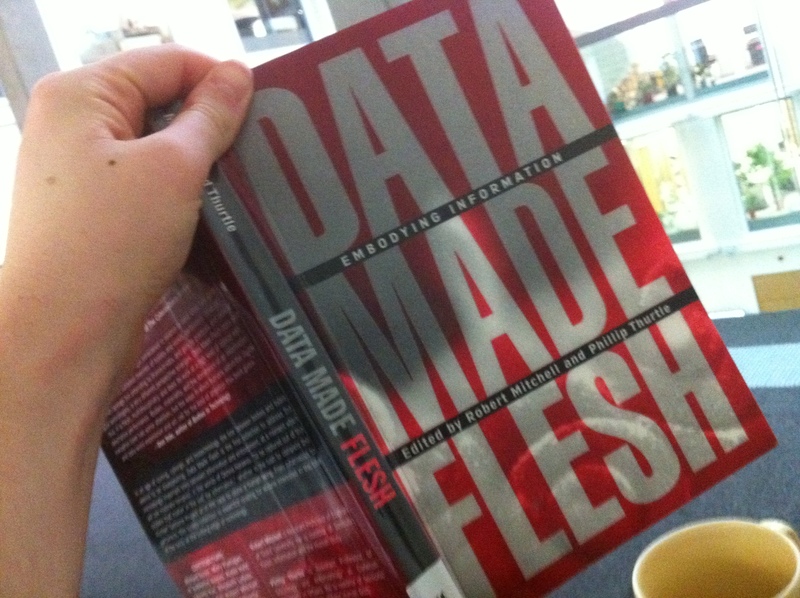 It has been a quiet day in the Forum- lots of writing about Ada and GIL, and a little reading through the first couple of chapters in Data Made Flesh: Embodying Information, edited by Robert Mitchell and Phillip Thurtle (part of my trawl from the library). Then the usual emails and daydreaming and wandering up and down the spiral staircase. And my heart was filled with mourning, mourning for my dear amour. According to Thomas, it’s untitled and by anonymous. If anyone can point me to the original author I’d be grateful. In the meantime I like of think of it as ‘Poe, 2.0’. ‘Why do you even bother reading at all? Can’t you just plug in somewhere and upload it into your brain?’ Ada asked. ‘Into my system,’ GIL corrected her. I’m pretty sure the original version of that 404 poem was at http://www.plinko.net/nevermore.asp but the version at http://bash.org/?120296 is more commonly cited.